Size is 10½" Tall: The legend of Santa Claus is derived from the European figure St. Nicholas and American writers who wrote children's poems in the 19th century. Santa Claus became the jolly man clad in red the folk hero all children dream about on Christmas Eve. 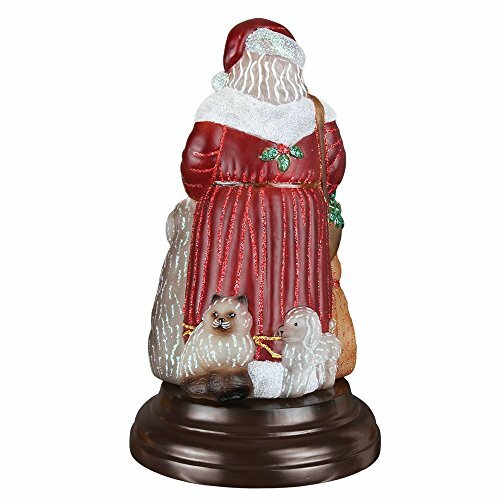 Santa Claus embodies childhood innocence and magical delight as he gathers with his furry friends. Commemorate 2017 with this magical Santa night light. If you have any questions about this product by Merck Old World Christmas, contact us by completing and submitting the form below. If you are looking for a specif part number, please include it with your message.